Da Nang tour from Singapore will help you discover all famous places in Central Vietnam such as Marble Mountains, Ba Na hills in Da Nang, Hue ancient capital with special royal dishes, tombs, palaces of Nguyen family, Hoi An ancient town is known for tailoring, café, restaurants or ancient Hindu temples in My Son Holy Land. Once you have visited these places, they will touch your heart with special emotions. The driver and tour guide will meet and pick up at Da Nang airport and transfer to your hotel. The rest of the day is on your own. 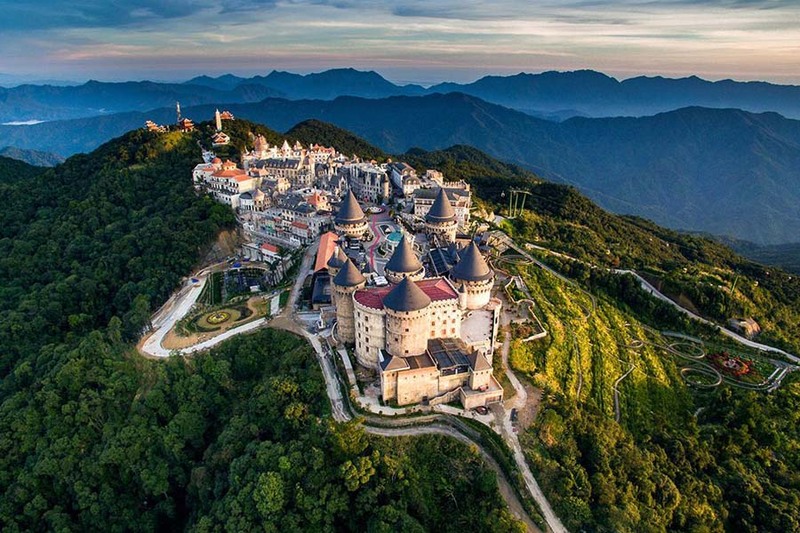 Leave Da Nang for Ba Na hills which is 1400m high above sea level. The place features 4 seasons in one day: in early morning (spring), at noon (summer), late afternoon (autumn), at night (winter). We get to the summit by cable car and you will be impressed by the charm of mountain, rainfall, the old forest. This fairyland with fabulous places waiting for you to discover such as French wine cellar, Le Jardin d’Amour flower garden, Wax showroom, Linh Ung Pagoda ect and Ba Na Hills is also known as the biggest indoor amusement zone in Vietnam. After that, you can enjoy lunch in a local restaurant and we transfer back to danang city. After that, we come to visit Marble Mountains, 5 marble peaks named after five elements Water, Wood, Fire, Metal and Earth. The site is known for its holy sanctuaries, natural beautiful caves, Buddist temples, pagodas; there is a small cave leading you to the summit of the mountain with panaromic view of the beach and even the nicest cave Huyen Khong formerly used as hospital during the war. Today, we continue the tour by a visit to My Son Holy land. 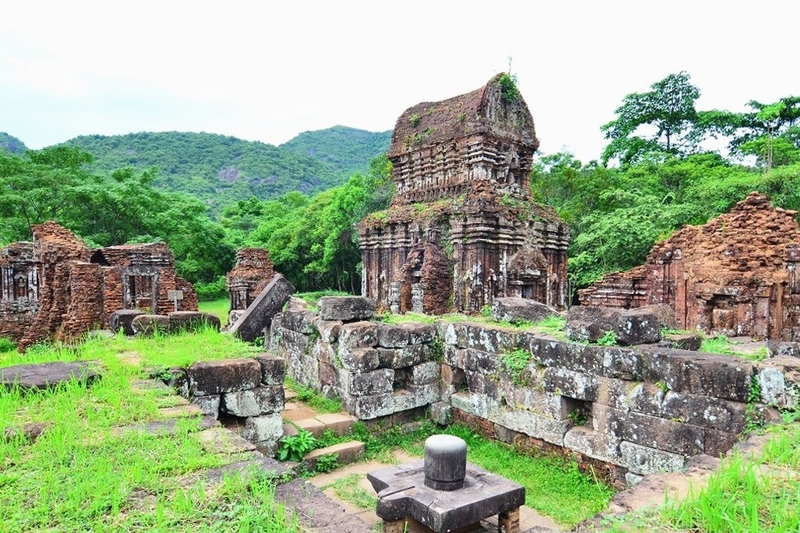 It is Hindu temples which were built by Cham people from 7th to 13th centuries. My Son became an important centre for spirituality and worship of Champa people. My Son Holy Land is a large complex of religious monuments originally consisting of more than 70 structures; but the bombing in 1969 smashed around 50 temples and only 25 of which remain today. We will stroll around to visit groups of B,C,D,G and admire the talent and skillful hands of Cham ethnic people in building the temples without using mortar. Those temples built such a long time ago but they still stand strong with time. After that, we visit a rice – paper making factory on the way back. It is an enjoyable time for you to see how the locals make rice paper from rice powder. The owner will tell you some steps to make it then you can demonstrate by yourself. Enjoy rice paper with crispy cracker and having a talk with the host before we take you back to Hoian ancient town. 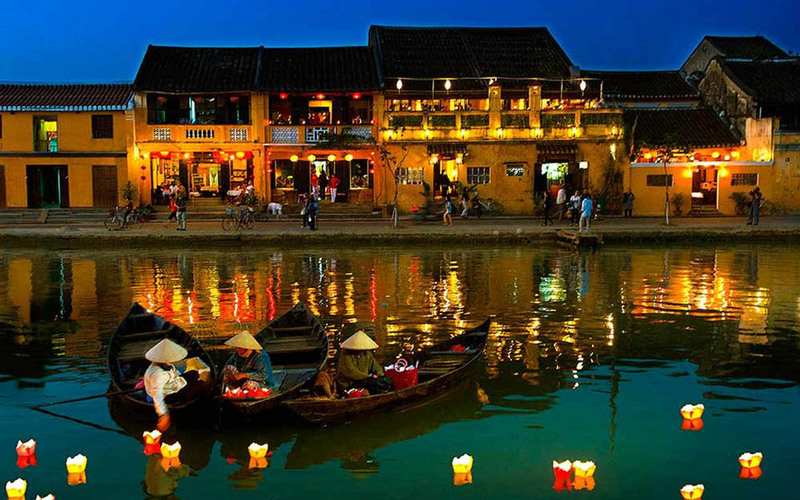 On arrival, we enjoy lunch in a local restaurant and after that we are going to stroll around Hoi An ancient city to discover Chinese temple, merchant houses, Japanesed bridge and enjoy traditional performance in theatre. When we finish, we come to enjoy basket boat ride inside water coconut jungle. 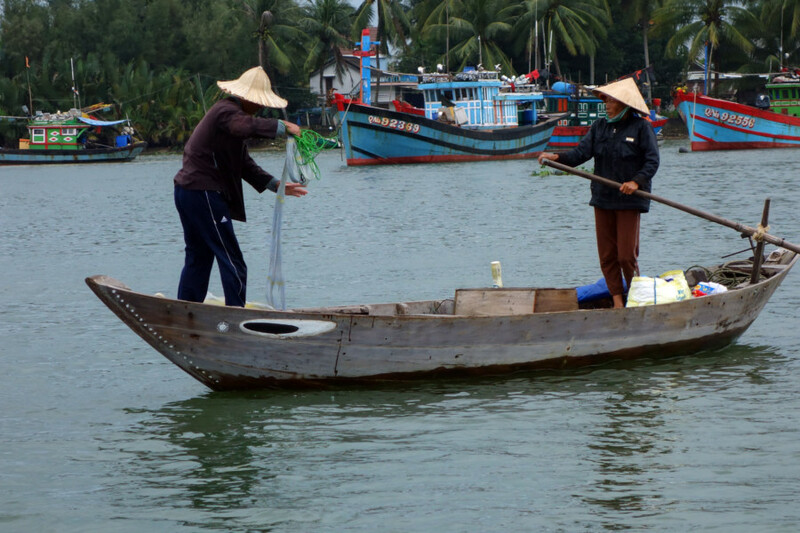 We might try to catch some little crabs and enjoy the show of basket boat spinning performed by the local guy. You might take some pictures as well. Finally, we take you back to Da Nang. 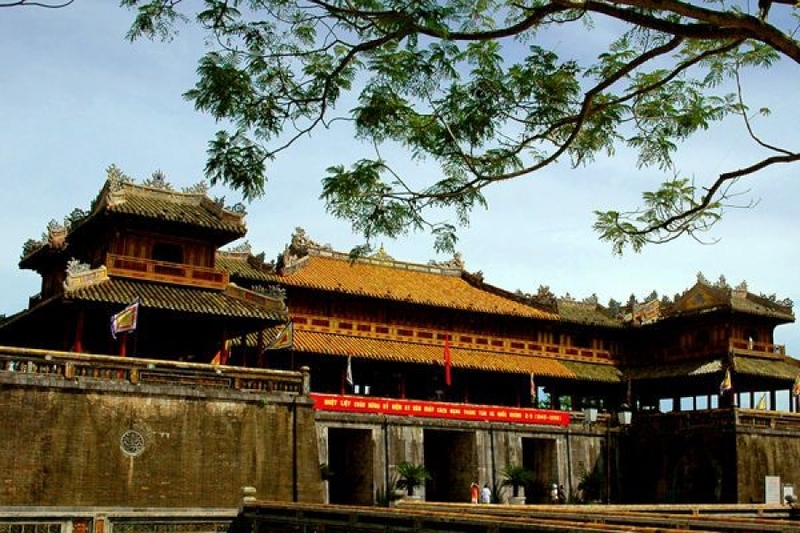 Start the day by car drive to Hue ancient capital – World Heritage of Vietnam in 1993. 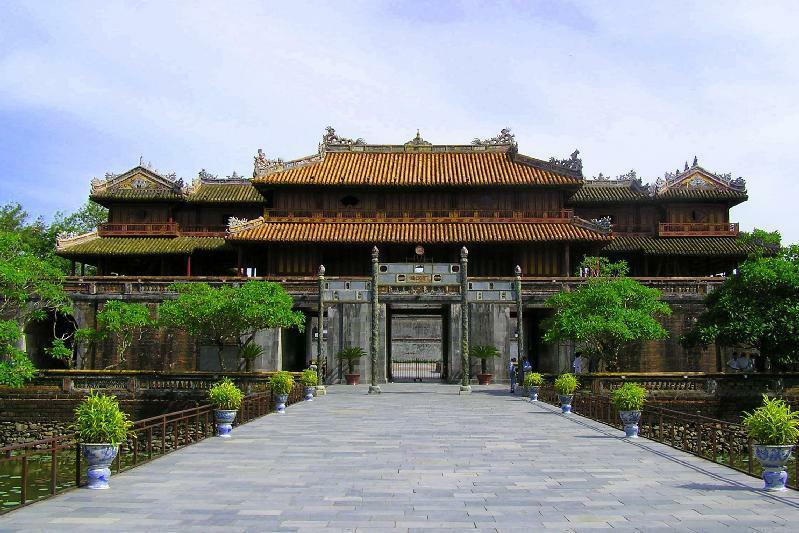 Hue is very peaceful city with Citadel – Vietnam’s former imperial capital and a recognized UNESCO World heritage site. With an area of 500 ha and a system of 3 circles of ramparts, this Citadel is far more elaborate than those constructed by previous empires. Then take boat trip on Perfume river to visit Thien Mu Pagoda (Pagoda of Heavenly Lady). Enjoy lunch in a local garden restaurant with finest foods of Hue. 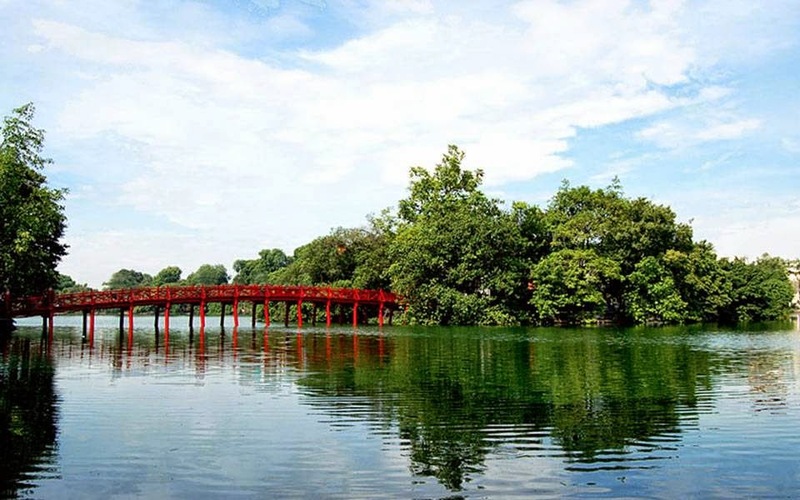 In the afternoon, the guide will take you to visit Khai Dinh tomb – one of the most typical architectural structures in Hue. Then we take you back to the hotel. Day 5: Check out and transfer to Da Nang airport for departure flight. Free time at your leisure and the car and driver will come to take you to da nang airport for flight back home. We will finish da nang package tour from singapore and we hope to see you in the future. 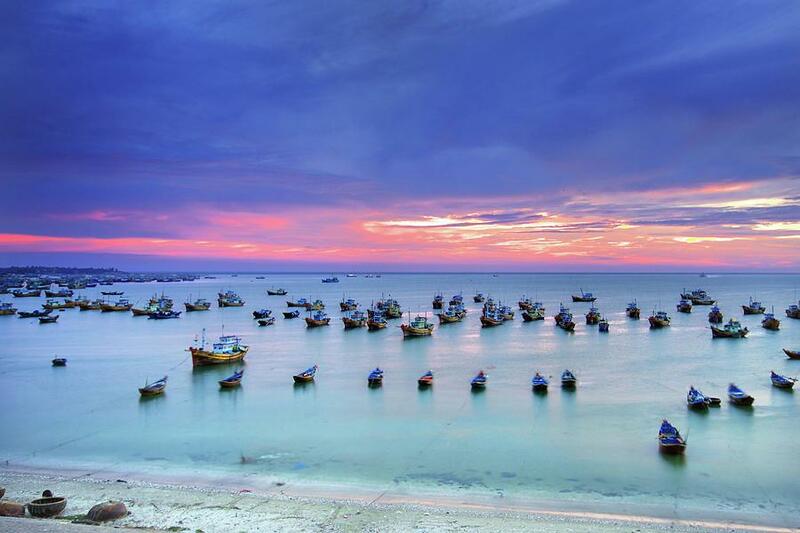 How interesting Da Nang Package Tour from Singapore is? The tour is the mixture of culture, eco tour and history and nature. When visitors join in this tour, they have many chances to explore the beauty of Da Nang – the best city to live in Vietnam: Marble Mountains, Ba Na Hills, Linh Ung pagoda, Han market. 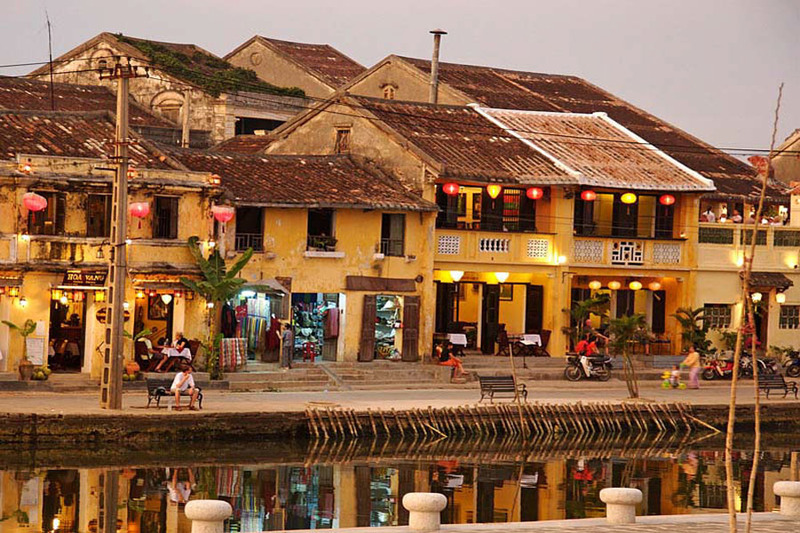 Besides, Hoi An ancient town is so charming, lovely town by Thu Bon river, discovering Hoi An is an unique experience for every tourist. Joining basket boat and how the locals perform and spin around this round boat will be a huge fun for you. 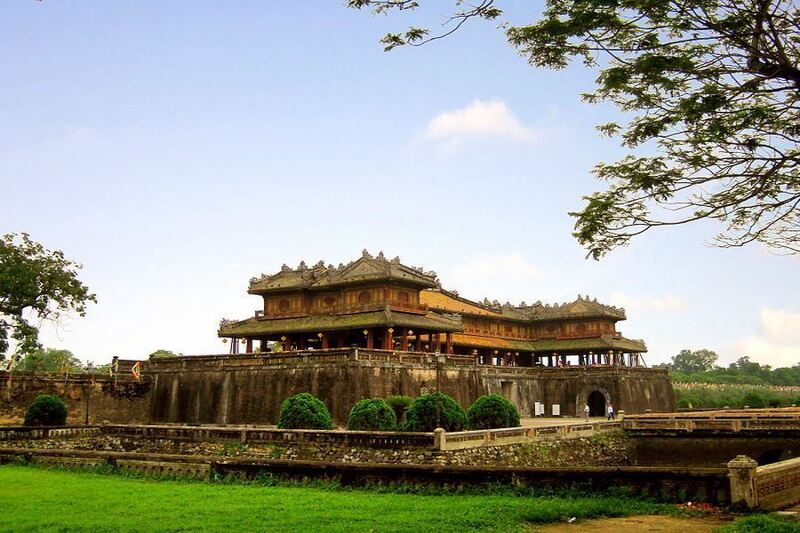 Moreover, Hue ancient capital well known for its historic palaces, temples and royal cuisine. All is combined in this trip will make a special holiday for Singaporeans. Please contact us at premiumvietnamtravel@gmail.com or Whatsapp/Viber at 0084 979613777 for more details. We are grateful to assist you. How to book Da Nang package tour from Singapore?